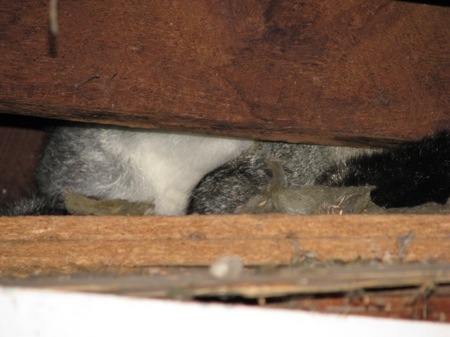 I came back from grocery shopping this afternoon, and noticed that the possum was sleeping under the floorboards again, but in a different position. Then the chair I was standing on to take the photograph exploded. That wasn’t the most pleasant thing that’s happened to me all day, I must say. Nick took this picture, because the chair and I are no longer on speaking terms. Nobody can excuse me of being unable to see the silver lining. 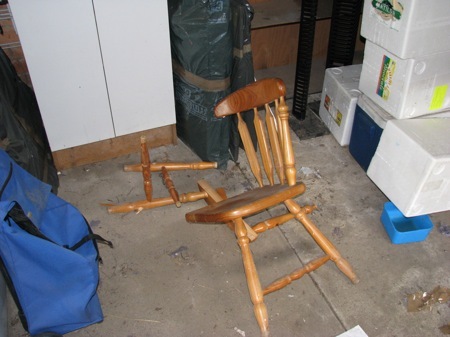 i think there’s something going on with the wildlife at your place…first the tweezers go missing and the geckoes are implicated, and then a chair “accidentally” collapses in a possum photography incident. could all these animals be in cahoots with the lizard king perhaps? 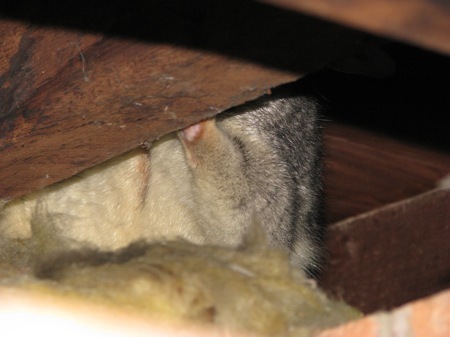 But all things said and done, I’d rather not think about the fact that I apparently have telekinetic possums under the floorboards.